Shoshana Walter of The Bay Citizen reports that a recent audit says that the San Francisco Police Department has failed to properly monitor and control millions of dollars in overtime and premium pay. The audit found many problems. 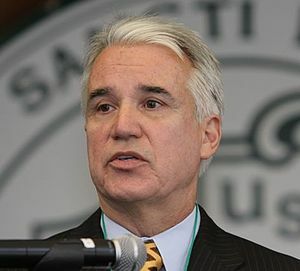 One was that the department was not enforcing overtime limits and failed to properly document earnings and payments during a period of two years that ended right before Police Chief George Gascon took office in August 2009. Some officers were paid without time cards. Others received money for court appearances without proof they appeared in court. Many switched around their work schedules to receive premium pay and broke rules by exceeding the number of overtime hours they were allowed to work. The report says the problems stem in part from the department’s outdated system of keeping mostly paper records. Overtime pay is drawing increased scrutiny from localities and states nationwide as government budgets remain tight across the county. Similar issues have been reported in New York, Florida, San Diego, and elsewhere.